The Wave designer wash basin is beautifully styled in Italy and is an ideal addition for luxury bathroom projects. The latest in Italian sink design and made of a high technology composite of glass pigments and resins allowing strong construction. 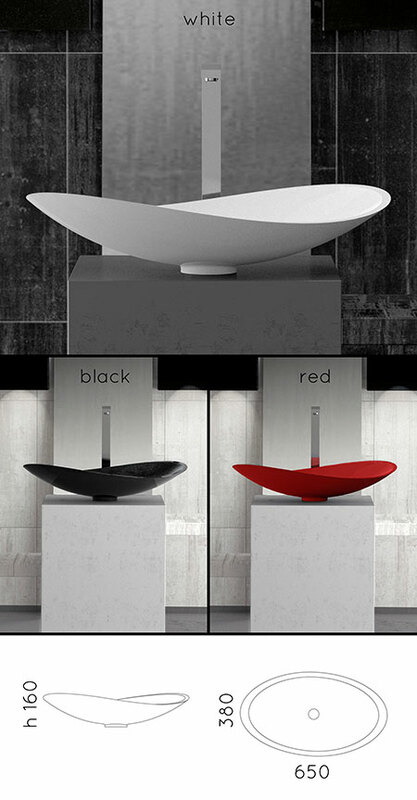 These contemporary basins are designed for counter top installation and are made to special order. Please allow 3 to 4 weeks for the delivery. Please note all designer sinks includes the polished basin waste.